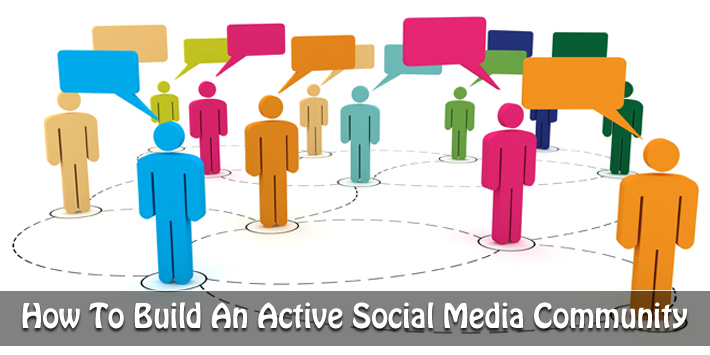 Having an active social media community is one of the very desirables in the recent times. Online presence has become such an integral part of our existence that we are almost blind without our presence for almost every requirement. Here are some of the relevant questions that might come in your mind for an active social media community. #1: Is Your Community in Relevance to The Demands? When the concept of the community links with the interest you are more likely to get a regular and active member. This is determined when you’re conceptualizing your community. The more your community concept fits with their interest, the more they will be interested in that community. If you already have a community that’s struggling for participation, you need to revisit the concept and bring a stronger interest shared by a more specific group of people. #2: Have You Been Able to Reach Out to Your Members? Don’t always rely on mail blasts to get more members (in fact you should never worry about getting new members, it will happen over time). Reach out to people outside of the community to respond to a particular question or respond to a topic. This should be done with existing members too. Be personal to reach people, because when they feel in person they will get back to you rather than sending mail blasts. #3: Are You Thinking from a Member’s View Point? That’s where you need to think from while you don the community manager’s hat. If you don’t you will never know what they need. Most of the community managers are busy ‘doing’ things that they forget to even pause and see if it’s adding any traction. #4: Are You Helping Members Take The First Step? Your members are scared – yes they are if they are new to social media. Do you remember how uneasy was it for you to write your first blog or status update? Hold their hands and walk with them few steps and then you will see the transition. Imagine yourself as a crèche owner and members are kids who need you all the time. #5: Were You Happy When You Got The Big Data? This is your playing field – more data means more information. Try and get more of it – through anything. Don’t be happy that your community has 5000 members, find out how many are active – every month and then see how to increase that number. As a community manager, you will have to play many roles at the same time and you should be ready for it. Take time off and think if you are gone, will it make any difference to the community? If the answer is no – it’s time you need to take actions. Let’s now find answers to these relevant questions in details. It is not good enough to have social accounts but to be active on them, i.e., have your presence felt though your activities. Cast your seeds in many places, be on as many social networks as possible, as long as you can manage them – you don’t want to be active is some and dormant in others, a first time visitor on one of your dormant account may perceive your brand has been nonchalant. Some social account you should consider having are Facebook, LinkedIn, Twitter, Google+, Flickr, YouTube, SlideShare, Scribd, RebelMouse, Blogger, WordPress, Nairaland, NaijaPals, Vimeo, etc. Make it a priority to always gather data of some kind, especially users or prospective users that get to interact with your brand – product or service. For anyone who has interest in your product or service the basic three things they may look out for are: Email address, Telephone number, and BlackBerry PIN. This is not necessarily your home page but could be if it can double as one. This page should be able to give brief information, using text, photo or video, about your brand, as well as capture all of the above collect data, allow users opt-in for update, and call-to-action. Yes, Facebook, Twitter, Pinterest and Google+ have a huge member base and you’ll find many people interested in your brands. However, that doesn’t mean you should ignore the less popular social media channels. Referral traffic should come from as many channels as possible. You may never know that a customer coming from a less popular social media site may be more engaged. A simple pop up asking customers to sign up won’t cut it. You need to be different. Customers are signing up to be a part of your community, and they should have a good reason to do so. Your landing page shouldn’t be boring, and should have a well-organized hierarchy. It should match the desire of the customer. Additional things, if possible, should include a video and existing customer count. If you’re able to get someone who can get people to create a buzz, you’ll build and grow your community with ease. Content that touches the heart of the customer will get Liked, Re-tweeted and Pinned automatically, getting more members for your community in return. Therefore hire someone who can talk and engage mass. Everyone on your team as well as within your company needs to be consistent with your messaging. You can’t have the email team saying one thing and your social media team promoting something totally opposite. Ensure that there is a consistency which is being maintained throughout. That does nothing for your credibility with the communities at large and makes members think your company has no clue what’s going on behind its own doors, and that does little to build the trust you need to build those solid relationships. You won’t be able to do this alone. You’ll have to involve others, and the best option lies in your staff. Give them freedom to talk about your brand, and answer customer queries. The offline tactic has a part to play. Going to events will get you more mentions. Introduce yourself to others, and tell them about your company. Take interest in their business as well. You may be able to find people who aren’t related to your business, but have a strong online community. They may mention your company name, and who knows, the new referrals may already have interests related to your brand. Be sure to attend online ‘events’ as well, especially to the overall SEO community. Many prominent SEOs keep up with social media networks as if they were the future of content marketing. These actions will help you start and maintain your own place in the SEO community, which is going to grow over time if you stay on the right path. A strong community will have a strong voice, and the authority of your online business is going to increase. Search engines are now favoring website owners and online businesses that are authoritative. Once customers start giving you importance, and mentioning you on a daily basis, search engines would have no choice but to give you importance as well. In conclusion what we can understand is you just need to plant your seeds in many places with your social account and presence; always think of building big data, as it gives you guaranteed reach to people interested in engaging with your brand, and finally, have a good landing page– that’s your go-to place where a first timer can get the important information, and a means to engage with the brand via call-to-actions such as: subscription, download, feedback, social share, etc. Try out building your community, and be sure to ask your questions, and share your recommendations. I think the most important is connection and the active-ness. The more active the community is, the higher chance of making it bigger. Thanks for valuable inputs Reginald! I absolutely agree with you Reginald! Connection is most important to get people talking about the community & without active-ness the community will lead to a ghost town. Without these two it’s hard to maintain any community.